Margie Baldock fell in love with horses as a child but wasn’t able to pursue her passion until later in life. 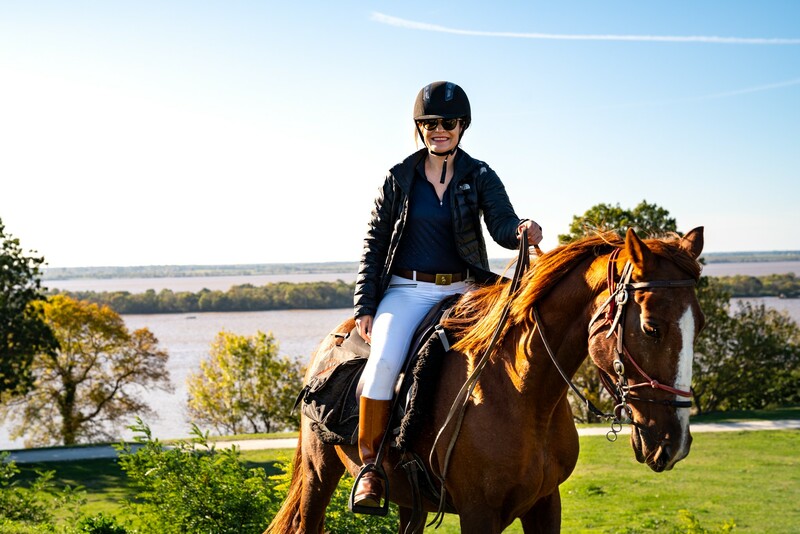 Now she’s making up for lost time, riding as much as she can, getting into polo and planning as many Globetrotting trips as her schedule allows! 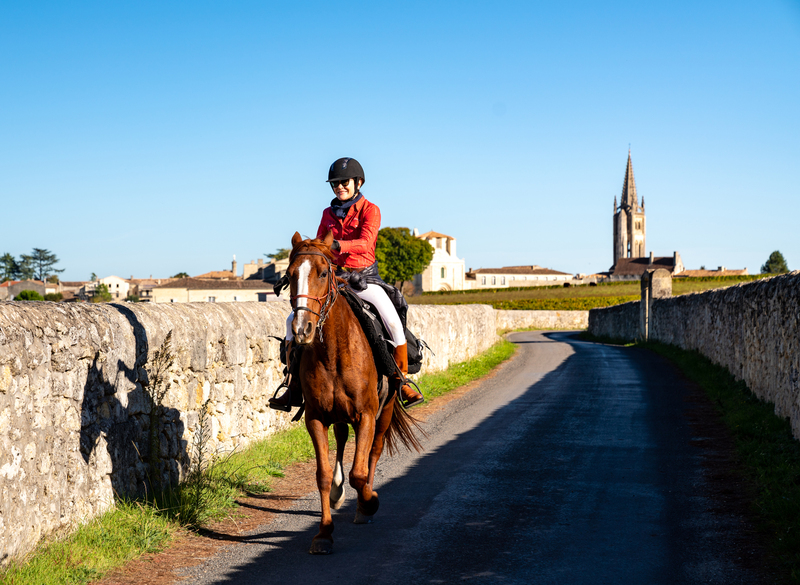 With three already under her belt, read on to find out more about Margie, her riding holidays and her deep connection with horses. My last day job was in 2000… but since then I’ve been building businesses, developing property, and most recently creating TV comedies for the fun and challenge. Horses are my therapists of choice. I was born horse-obsessed but was never allowed to be around them. As an adult, I try and get as much horse time as I can. I feel like a Buddhist Zen Master whenever I’m with a horse. As soon as I’m away from horses, I feel the weight of my human meat-bag and its corresponding emotional baggage returns, to my disappointment and displeasure. In short – horses are a spiritual experience for me and being with horses quite simply makes me a better person. I just remember being madly obsessed with horses. I’d beg for one non-stop, beg for riding lessons non-stop, and draw them non-stop. I never got a pony or horse. When I turn 60 (or perhaps sooner if I’ve stopped travelling non-stop) I would like buy myself two foals or young unstarted horses – probably a Friesian and an Andalusian – and I wish to start them myself and grow up and old with them. However, as I will do this when I’m sick of global horse trekking, I’m in no rush! I enjoy the variety but ultimately will enjoy settling down with my own horses too, when the time is right. I didn’t have one. I was not allowed a horse as we didn’t have the money for one and horsing around with ponies was not considered a worthwhile, or safe, pursuit in my household (no matter how hard I begged). It means communion with mother nature. It is the very embodiment of joy, love and beauty. It is bliss to me. That there is nothing I need to do or have. I just need to be myself and turn up with an open and loving heart. Was this your first Globetrotting ride? No – my first was the Glenorchy Back Country Ride in New Zealand. I had done a horse trekking holiday in Western Australia about 20 years earlier and LOVED it, but didn’t know that horse riding holidays were ‘a thing’ until a Globetrotting advertisement crossed my path. The smorgasbord of options blew my mind. I was nervous at first about solo travelling, but quickly made life-long friends on the road, who I continue to do further treks with. I have developed a special bond with my horse trekking friends – that ‘what happens on a trek, stays on a trek’ type of bonding happens (mostly wholesome good fun). Was this Globetrotting ride celebrating or marking a significant moment/milestone/achievement in your life? And if so, would you mind sharing? Not specifically, although my commitment to do regular horse treks, holidays and taking up polo probably reflect a mid life crisis of sorts. A time of nurturing that inner child who desperately wanted to ride and was discouraged from honouring that part of my essential being. Although I’ve not had many saddle hours compared to most of my fellow globetrotters – especially the ones with horses – I have always had a natural affinity with horses that has allowed me to hold my own with all the wonderfully accomplished horsemen and horsewomen who I’ve met on the road. I’ve never let my lack of saddle hours stop me from going for it on the road and I’ve never felt out of my depth. That is a testimony to the quality of the rides Globetrotting selects and promotes. To me, their accurate and detailed descriptions of each trip really make a big difference. I feel that they match the level of the riders well so that everyone feels they have comparable riding levels – I believe that is vital to the success of the treks. What Globetrotting rides have you since completed/planned/dreamed about? Completed: The Glenorchy Back Country Ride, the Tassie Tiger Trail and the ride in Bordeaux, France. Dreamed about: The Scottish Borders Ride or polo in Argentina is possibly next, or maybe the ride in Andalusia, Spain. I’m really keen on the fast rides with intermediate or advanced riders. I can’t make up my mind. I will do them all eventually. It’s a case of when my riding buddies can make the time. Every nanosecond. This is like asking me which of my two children I like the most (I have only one child, but you get the point). It’s exhilarating. You see a perspective of the country you visit that is unique – a very immersive, local perspective which focuses heavily on the connection the locals have with nature. It’s just a blissful way of discovering new cultures, people and places. I always love the one I’m with, and when I am no longer with them I think of each with equal fondness, love and gratitude. Just go for it. If the trip itinerary excites you then just book it, you wont regret it. Some form of bottom or saddle padding (for the rides that have 6-8+ hours a day in the saddle) and a UV face scarf (for sunburn, insects, dust and sand protection… or for warmth, depending upon your destination). 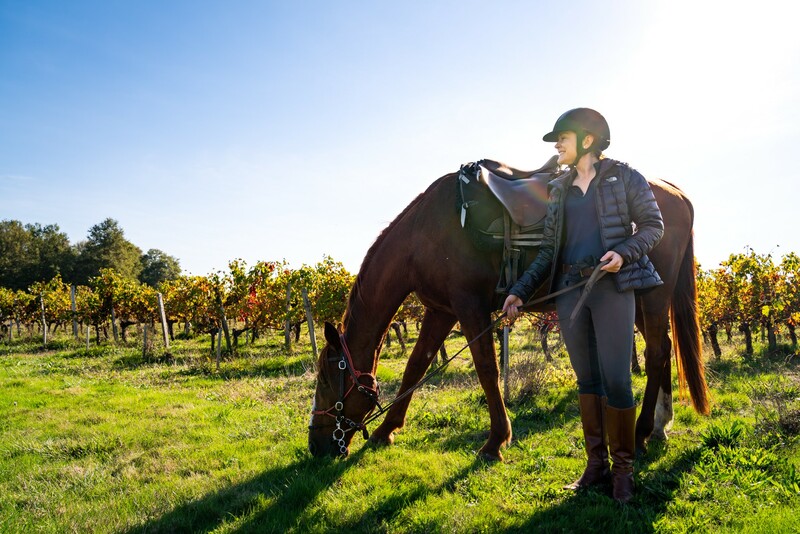 We can’t wait to welcome Margie on her next incredible horse riding holiday, and we hope it won’t be long until we’re welcoming you, as well!